The world is experiencing a digital revolution! Irrefutably, digital media consumption is growing, while television, radio, print, and other audiences are in decline. One Nielson report indicates that traditional TV viewing trends among 18-24-year-olds has dropped from 26 to 16 hours per week since 2011. Young people subscribe to their own media via the Internet with choices like YouTube, Netflix, and a host of others. Digital media consumption is growing every year, especially via mobile devices. Millennials check their smartphones every 10 minutes, according to Kana Software. Zogby Analytics reveal nearly 90 percent of Millennials keep their smartphone within arm’s reach 24-hour-a-day. Our society is experiencing meteoric changes due to digital marketing. In 2015, for the first time in history, there were more sales conducted online than in retail stores on “black Friday,” and the exponential impact is forcing change from anyone wanting to survive in the digital tomorrow. Walmart recently closed over 100 stores. Ofcom, based in England, reports that nearly 90 percent of people aged 16-24 use a smartphone and go online with a computer, laptop, netbook, or tablet, with less than 20 percent of that same demographic watching television. Further, Americans aged 25-54 access the same digital tools by nearly 80 percent. Smartphones are used daily to make calls, check email, surf the web, shop, and take photos. This tool has become so ubiquitous and essential that we can’t imagine leaving home without it. The smartphone has revolutionized our lives. Now imagine the revolution that a smartphone, tablet or laptop instigates in education — a world of knowledge at our fingertips, accessible on our schedule, at our convenience. In summation, the digital revolution equips HBU to go national, and even international, with its online training without sacrificing academic excellence. Realizing the zenith of digital opportunity, HBU’s entrepreneurial President, Robert Sloan, assembled a task force to study and significantly expand the opportunity for students to be trained in undergraduate and graduate degree programs online. HBU had moved into online education four years ago. The vision of the task force is a notable expansion and uniqueness in the digital frontier. 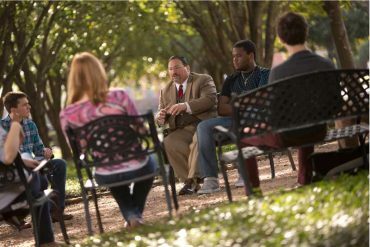 HBU’s plans are to provide the highest quality of education by distinguished academic leaders, unique academic courses and degrees, and to make it accessible to students via computer, laptop, tablet, and someday even a mobile device. 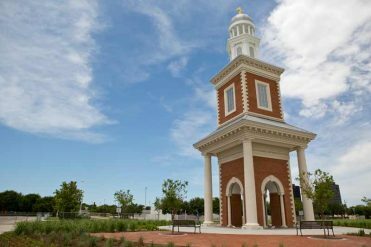 The founders of Houston Baptist University, like our President, have always been characterized by vision and entrepreneurship. Soon Houston will be the third largest city in the United States of America with a population approaching seven million in its metro. Our digital educational initiative will allow us to dramatically expand our student population and provide accredited academic degrees that help men and women gain employment, professional development and job promotion. Over the last year we have carefully studied and listened to the most effective leaders of online education and digital marketing. Unanimously, online experts and knowledgeable digital pioneers have stated that HBU has the opportunity to become an educational titan given its strategic geographic location, with 12,000,000 people located within a 200-mile radius, and multiplied by thousands of men and women aged 35-55 that desire the employment enhancement provided only by online education. Further, military veterans are an additional strategic demographic seeking online education. Truly, HBU will provide A Higher Education to deserving individuals throughout the United States. And yet our ultimate vision is not limited to America. In future days you will learn of our vision to see HBU go global. By the grace of God, and with the strategic financial support of visionary friends, HBU will step forward to expand online education because we believe in the power of technology and respect a student’s need for convenience. Online education allows us to deliver our high quality, Christ-centered education to a student body that is seeking it in ways that work within their lives—working mothers, busy fathers, military veterans, and students all over the globe. HBU’s aim is to deliver educational options to those who are unable to move to Houston or those who are established in the working world and want to continue their education. A decade ago, online higher education was nascent and experimental. Today, it is standard practice. Most universities, including HBU, have online degree programs and, at minimum, offer individual courses online. According to the National Center for Education Statistics, more than one quarter of undergraduates (27%) attending a four-year institution in the fall 2013 semester were enrolled in at least one distance education course. HBU’s online programs are in their fourth year, and they demonstrate the commitment to harness the digital revolution and dynamically grow the University. HBU now offers a number of different online options at the undergraduate level. The RN-to-BSN program gives eligible registered nurses the opportunity to complete a Bachelor’s of Science in Nursing through a competency-based approach. HBU also offers many of the University’s core curriculum courses, so undergraduate students have flexibility to schedule around other obligations like work and families. At the graduate level, we offer two Master of Education degrees online: Educational Administration and Curriculum and Instruction. These two-degree programs enable educators, to improve their knowledge and skills and advance their careers with the flexibility offered through online coursework. We also offer a Master of Arts in Apologetics, which has developed a global presence with faculty and students learning together across three continents. Faculty use videoconferencing, video, multimedia, interactive discussion forums, and collaborative tools with the online programs to instruct students across the world. 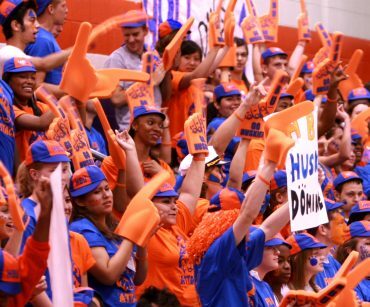 Students have accessed HBU’s “Higher Education” from their homes in the Rio Grande Valley and Dallas, Texas; from Atlanta, Georgia, and New York City; and even from England and Japan. The HBU task force has designed a plan to digitally market our University, which will grow our online programs and indirectly build our residential student body. Our vision is to potentially expand to 100 courses per year, for the next 10 years equaling the residential academic menu of HBU. The vision to grow our residential student body to 10,000 students remains the same, however, we must serve thousands of students simultaneously through our expanded, unique online education. 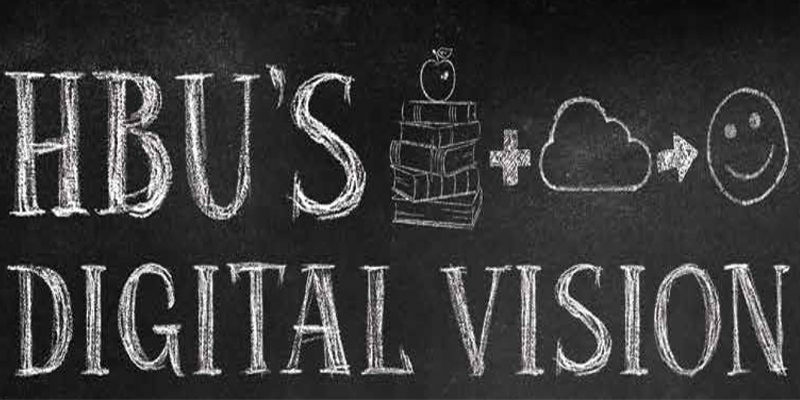 With these online programs, we are positioned to grow HBU at a scale that realizes the Ten Pillars vision. As we begin to increase online degree offerings, it is imperative that our alumni, prospective students, and current students understand why HBU is embracing new modes of instructional delivery and how the expansion will benefit the University. Many people ask the same question about online education, “Is it effective?” According to a recent synthesis of research released by the U.S. Department of Education, online learning outcomes are comparable, and in some cases stronger than, traditional, face-toface, on-campus courses. In fact, online learning is often enhanced because students can spend more time on task—engaged with the content they are learning. There are several options of instructional delivery to meet the diverse learning needs of students, e.g., reading, lecture, interactive multimedia, collaboration and interaction, videoconference, etc. Therefore, students not only choose when and where they learn, but how they learn. Another common question is: “How will expanding online programs affect our current residential programs?” Experience shows that a robust online division actually enhances the traditional residential and “on the ground” dimensions of the university. Universities that have offered online education have actually added to their on-campus populations and have been able to use the additional revenues to expand the campus. Thus, we are not choosing online over residential: We are choosing both. Each enhances the other. Another concern is: “Will the distinctive quality and Christian worldview of an HBU education be lost?” One key component of our online programs is that academic quality is not compromised. HBU professors create rigorous online courses, while maintaining a focus on a Christian worldview. In addition, our online faculty endeavor to connect interpersonally with their students through devotions, prayers, and encouragement. They also use strategies for connecting students with one another in the online world. Thus, we do not lose our distinctive worldview or our message. Faith and relationship, the value-added dimensions for which HBU is known, remain. Traditional students who graduate from high school and go directly into a bachelor’s program are diminishing rapidly. But, the hunger and need for education are growing. 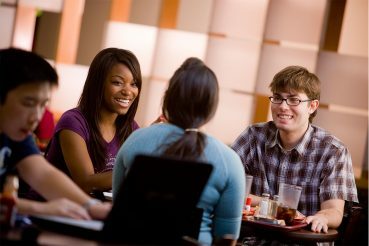 With these expanded online programs, we can bring HBU to groups of non-traditional prospective students: those who would like to return to college and finish a bachelor’s degree, those who desire new expertise through master’s programs, or those who would prefer a short-term graduate certificate rather than an entire degree. Online education is a tremendous opportunity for outreach. Through online delivery, we can expand our Christian witness and present the HBU content and experience to broader audiences around the nation and the world. We can bring HBU to people everywhere, people near and far, people of all ages and backgrounds, people who would not otherwise have the opportunity for Christian higher education. With a presence in online education, we can be “witnesses in Jerusalem, and in all Judea and Samaria, and to the ends of the earth.” (Acts 1:8).